You must have already seen many Windows 7 guides all over bookstores and the internet. But here is the mother of all of them. The Official Windows 7 Product Guide all the way from Microsoft. It is a reference guide highlighting the new and improved features in Windows 7 and how you could get more productive with the all new Windows 7. This guide is designed as an accurate source of information that can help you to understand how Windows 7 simplifies everyday tasks. The guide is also designed to provide IT Professionals with information about how to increase productivity, risk management through enhanced security and control features and cost reduction by streamlining PC management. It also provides an overview of the many exciting features in Windows 7 and pointers to more information. 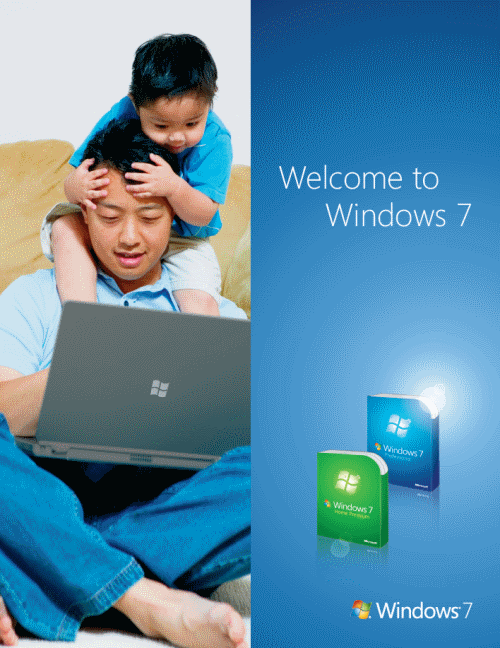 The Windows 7 Product Guide is available inboth XPS and PDF formats.You can find the download links on this page. You can also check out the Windows 7 Power Users' Guide. Note: In order to view the XPS document, you will need to install the reader (included in Windows 7 and Windows Vista) and to view the PDF document, you will need to install Adobe Acrobat reader.